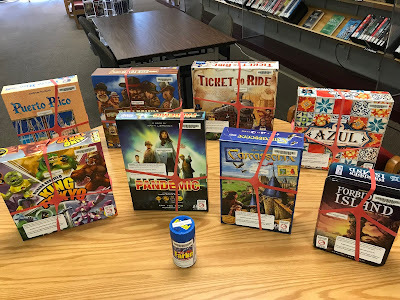 On November 5 the Eastwood Branch Library began making available for checkout to the public the following board games (all geared for patrons middle school age and up): King of Tokyo, Carcassonne, Forbidden Island, Ticket to Ride, Farkel, Pandemic, Azul, Puerto Rico, Dice Town, Catan, and the Downfall of Pompeii. Board games can be checked out with a valid adult library card. Board games are checked out for one week, but must be returned to the Eastwood Library. If you have any questions, please contact the Eastwood Library at 205-591-4944. "Board games are entering a new renaissance in the United States," said Vincent Solfronk, branch manager of the Eastwood Library. "Board games are being designed with more interesting subjects and features. 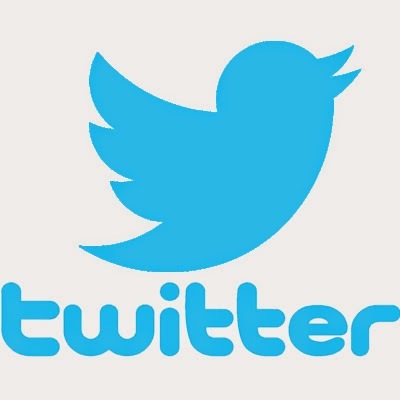 People of all ages are trying to move away from their "screens" and to a more interactive lifestyle. Board games bring people of all ages a fun learning experience." The Eastwood Library was awarded an Innovative Cool Award by the Birmingham Public Library Board of Trustees in August. The award goes to BPL locations that come up with unique ways to provide services for the public. Eastwood Library used the funds to purchase games and supplies. 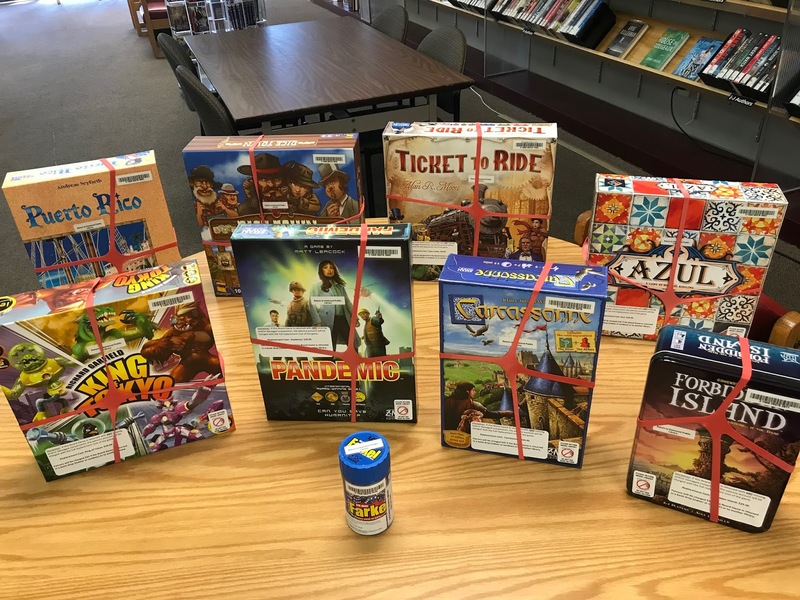 In December the Eastwood Library is hosting a holiday program highlighting its new board games. Board after the Holidays? will be held on December 26–28, 11:00 a.m.–1:00 p.m. and 2:00–4:00 p.m.